Communities in Brownsville seem to struggle with conflicting perceptions regarding their neighborhood and their extended neighbors. Our goal is to create interactions between different groups of people and help support a positive perception of the residents about their neighborhood and their community. A critical point of interaction is at an intersection, where flows of people and uses meet. The level of collision between those flows depends on how the corners are activated. In comparison to corners in Manhattan, corners in Brownsville seem underutilized and inactive most of the time during the day. Looking closer at the configuration of the public housing campuses it brings to light that NYCHA seems to turn its back on the corners. Entries to the campuses are between streets and never at the corner. Green spaces are fenced off and not accessible. Corners in Brownsville are an opportunity for intervention to activate the intersection. 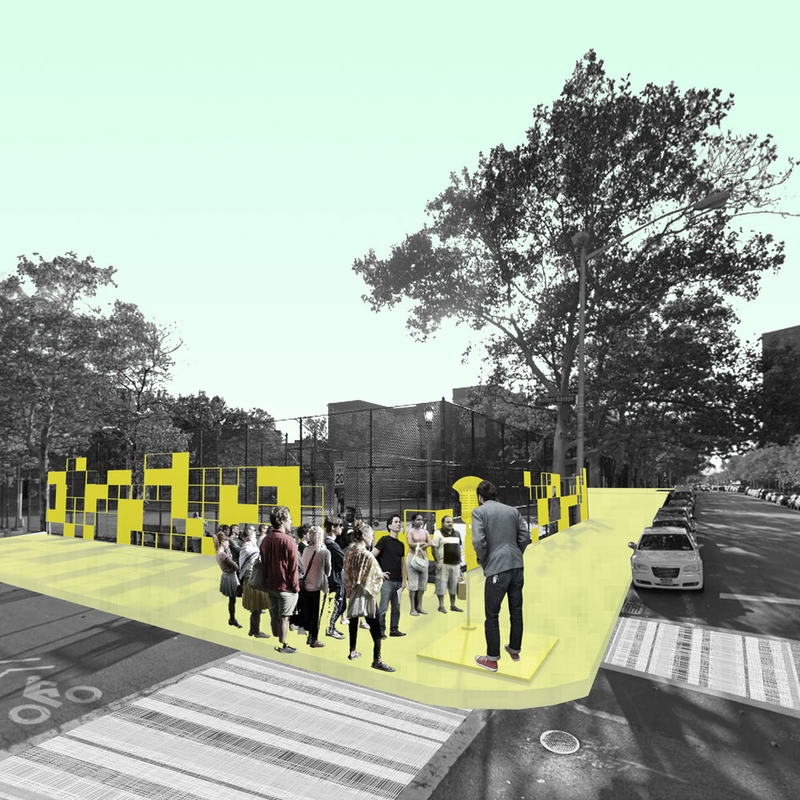 Entities such as NYCHA, DEP, DOT, NYC Parks, local businesses and community partners are stakeholders that could collaborate with designers to take over the corner spaces and put them into active supporting use for the neighborhood. Four types of underutilized corners exist; parking lot, green space, green patch and occupied space. 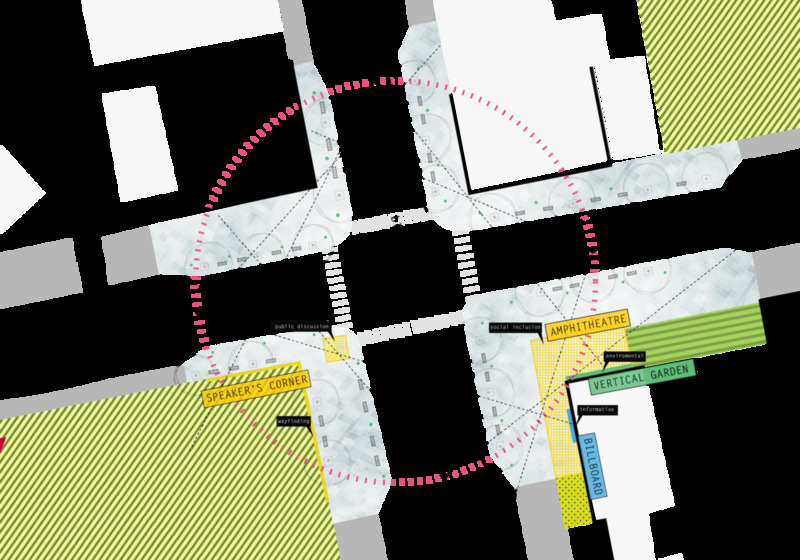 The intervention at each corner compliments the existing amenities that surround the intersection. The residents’ wants and needs are a place to MEET, ENJOY, GAIN and BUY. By cross referencing the types of spaces, the land use and the needed activity the result is short term and long term interventions that will allow for change to be just around the corner.